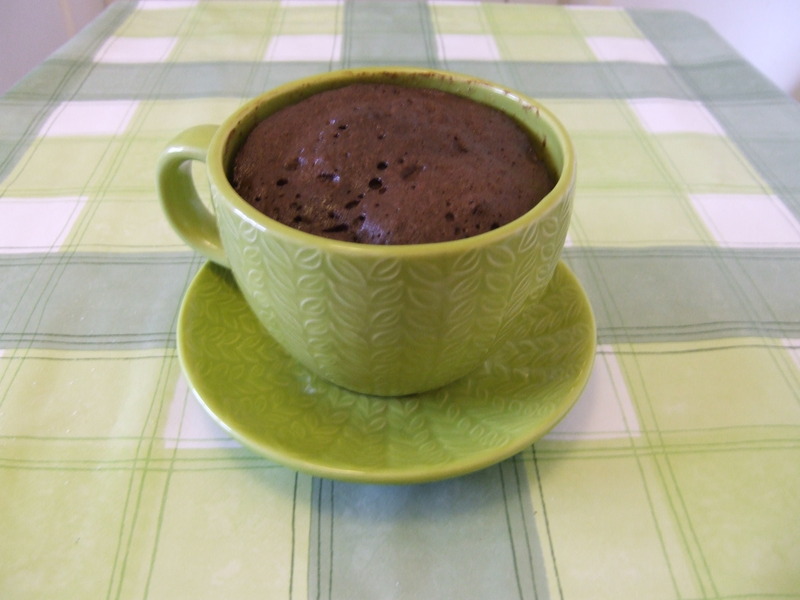 In all it's glory... the 5 minute chocolate mug cake. 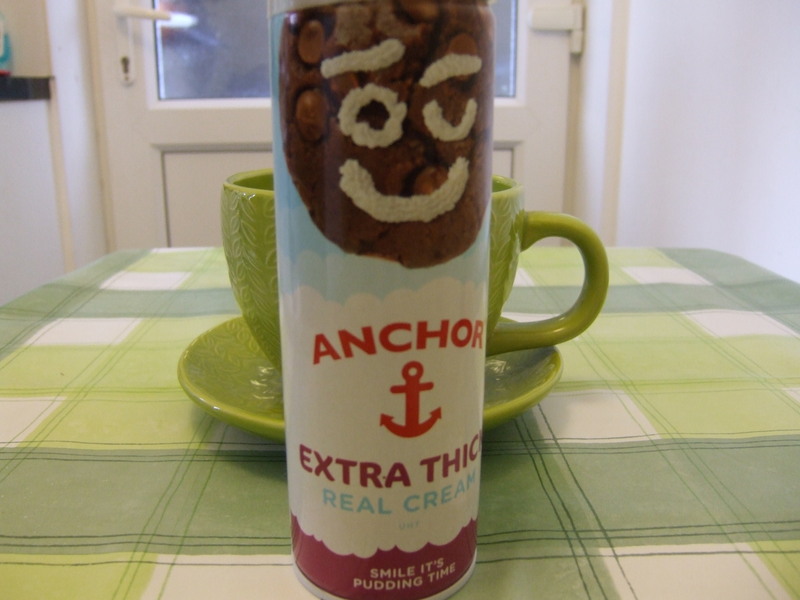 Fancy a treat? Don’t you just fancy a huge slice of chocolate cake ? Why not have a crack at possibly the easiest cake recipe EVER. 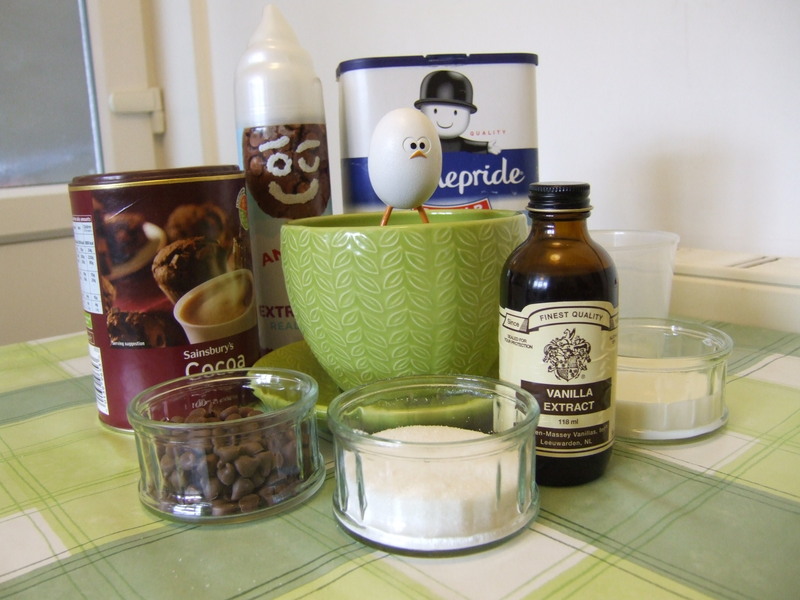 To make it even easier for you here is a step by step guide to chocolate cake heaven. I accept I am not in the league of pudding king James Martin but what do you expect in just 5 minutes? 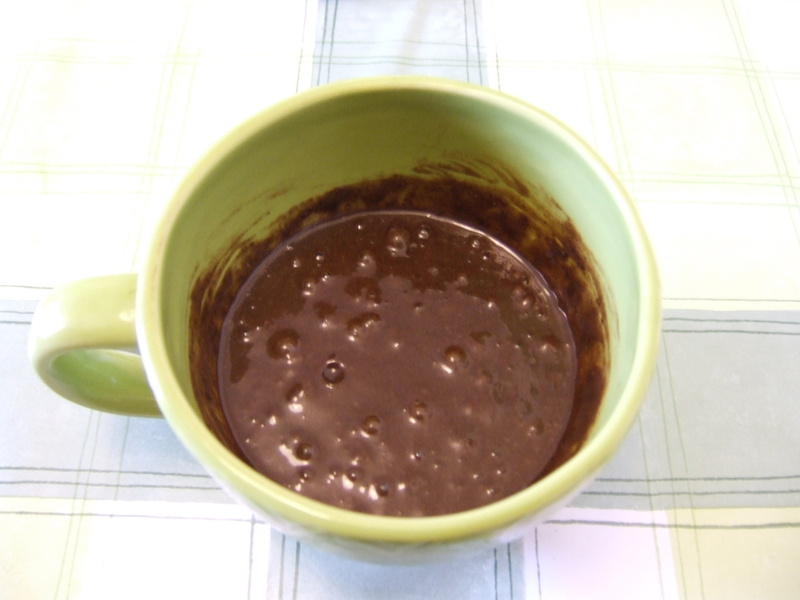 I have to be honest and say that I have never been a fan of microwave cooking but this 5 minute chocolate mug cake actually bakes a treat. Ingredients should look something like this. 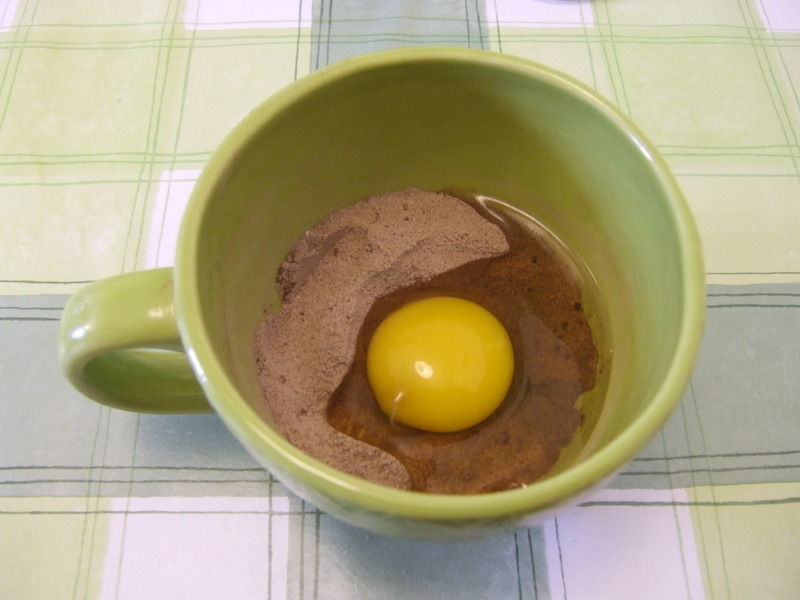 MIX THE FLOUR SUGAR AND COCOA POWDER IN A MICROWAVABLE MUG/CUP. 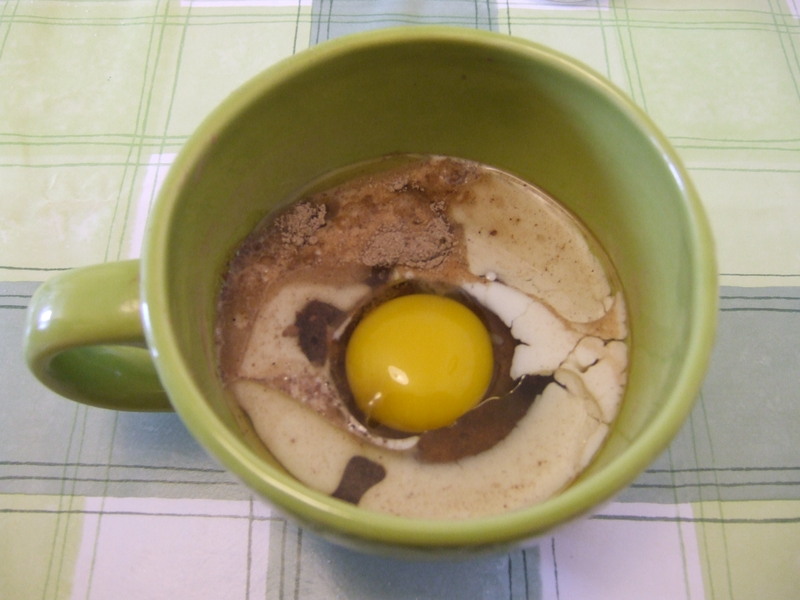 ADD THE EGG, MILK AND OIL. ADD THE VANILLA ESSENCE AND MIX WELL. 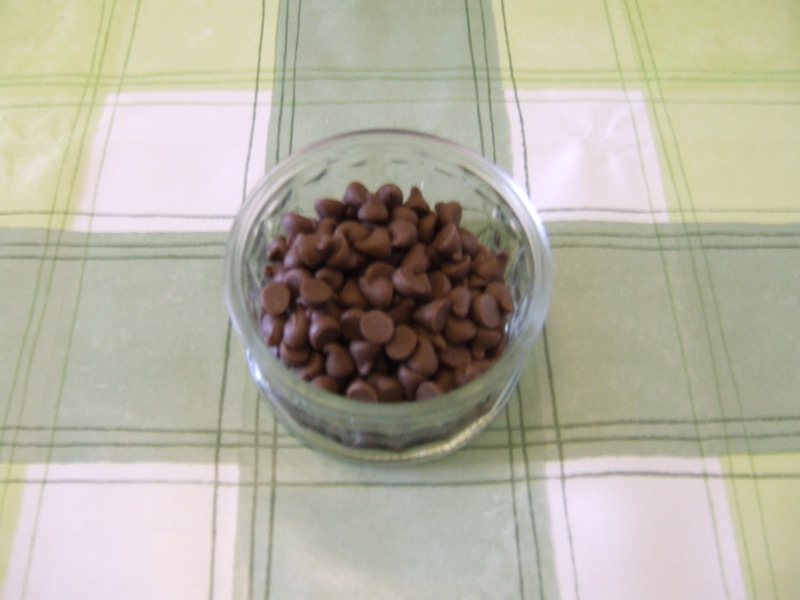 ADD CHOCOLATE CHIPS ! 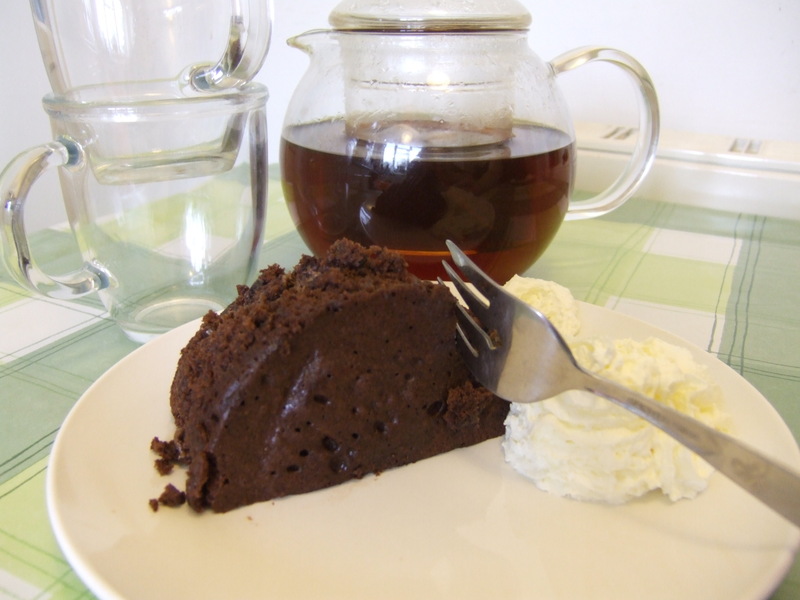 SERVE BAKED CAKE ON TO PLATES AND SCOOSH WITH SQUIRTY CREAM AND SERVE WITH A GENEROUS CUP OF TEA. – Try serving with tinned fruit and ice cream to make it special. 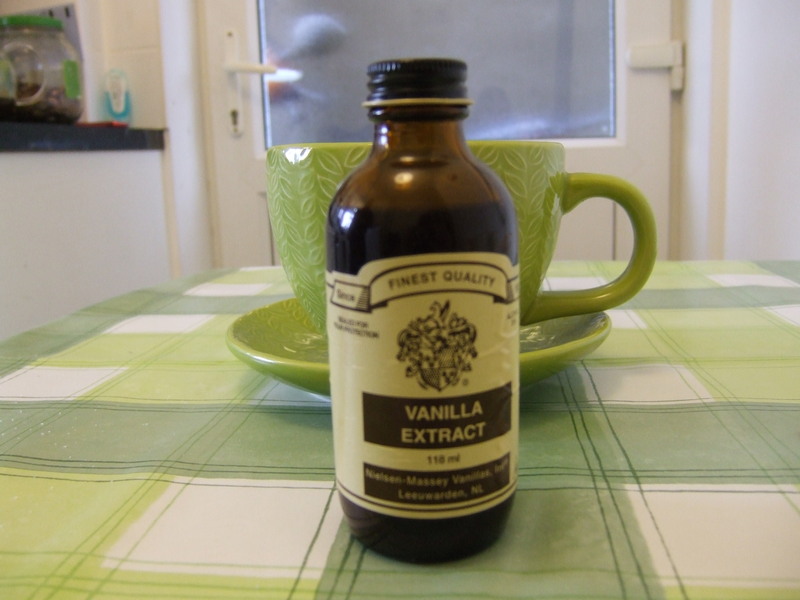 – For a chocolate minty flavour add peppermint essence instead of vanilla. 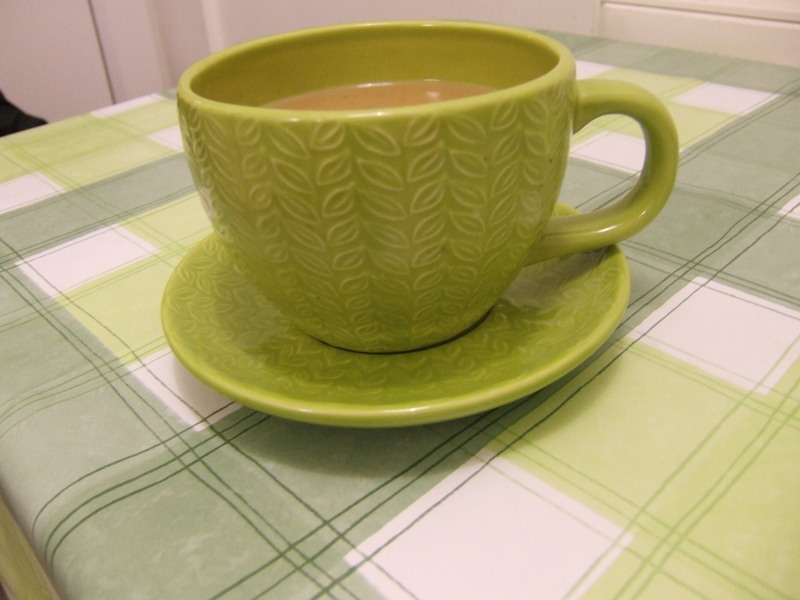 so choose your mug wisely. Martin, i like how you take time off from being a student to make a beautiful cake like this. However, I’m going to challenge you with a piece of carrot cake. It does look good, got to be said!! But I’m that hopeless in the kitchen you might have to show me how its done Martin! I could do with one of these now please!